Cheap flights to Morocco: Marrakech from Berlin for €87! Easyjet now offers cheap flights to Moroco from Germany. 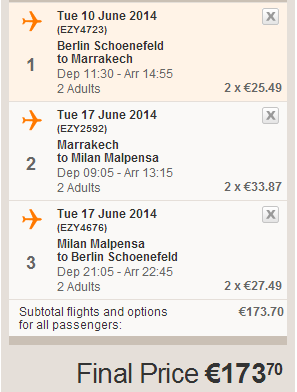 Return flights from Berlin to Marrakech are available from €87! You will have couple of hours in Milan between the two flights. The final price is valid if you fly in 2 persons with cabin luggage up to 56 cm. Other dates are also available for slightly higher price. Marrakech and whole Morocco is really cheap country where you can sleep for €4 per night without problems. Check our accommodation search engine to compare all major booking sites at once! 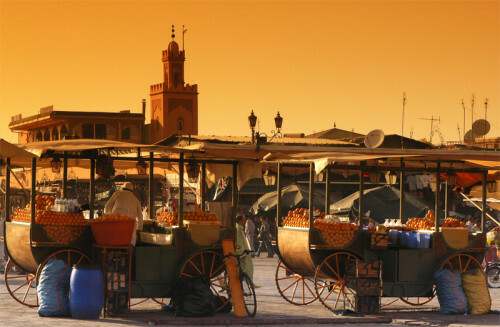 It’s also possible to find a cheap place directly in Marrakech. « Cheap flights to Australia from Prague: only €706!